It would not be wrong to call the Subject-wise Improvement Program as an improvement plan as it helps engineering students to achieve what they are capable of, and bring them a step closer to their dream goals. The prime objective of this program is to help students who are not comfortable with any particular subject while preparing for ESE and GATE. The best thing about this study program is that the students have the flexibility to choose the subject(s) of their own choice or choose from any of subject packages that are offered. Expert guidance in small packs: The program is offered as small packages allowing students to opt only those subjects in which they need guidance of experts. Spare time for self study and practice: Preparing for ESE and GATE exams demands a meticulously planned preparation strategy with enough time to implement the strategy. Subject-wise Improvement Program enables ESE and GATE aspirants save fair amount of time and energy for self-study and self-practice. Value for money: By registering for Subject-wise Improvement Program, students are investing their own or parent’s hard-earned money only where it’s actually required. Better understanding of concepts: Preparing for top engineering exams like ESE, GATE, and PSUs demand in-depth understanding of concepts. The subject-wise improvement program at IES Master has been structured keeping this in mind. Fulfil your learning needs: As the program allows students to select from the pre-defined subject packs or make the subject packs of their own, by taking the subject-wise improvement program of IES Master, students can meet their learning needs, while driving closer to their career objective. 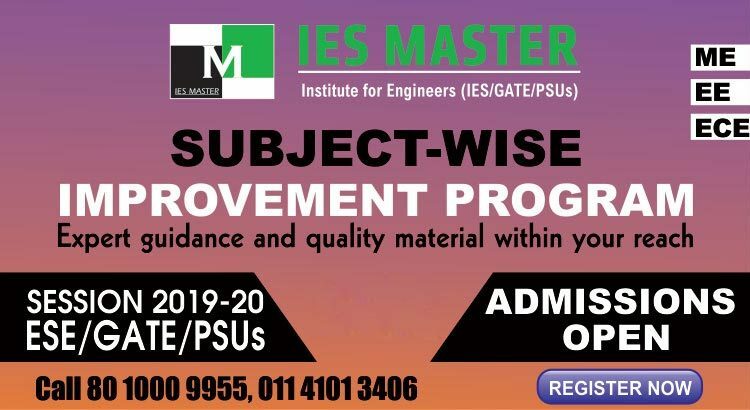 Quality guidance: The best thing about subject-wise improvement program is the experienced faculty of IES Master, and quality content and study material, which itself is a benchmark in the preparation for ESE and GATE. Dual advantage: While mastering over the weak subject(s), by taking this selective improvement program, students can also improve their college semester grades, simultaneously. 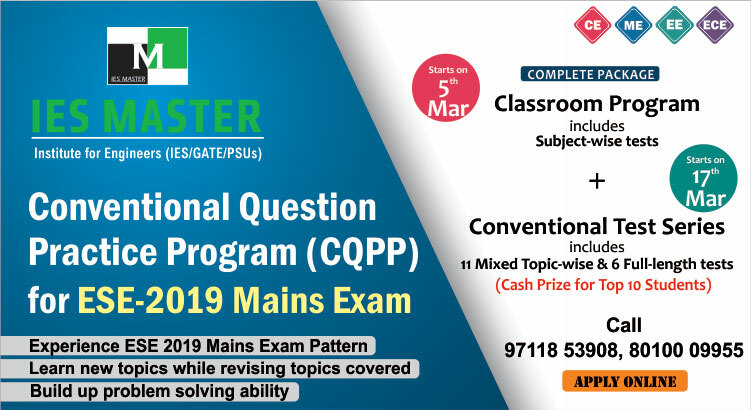 In case, you have any doubt or query related to the Subject-wise Improvement Program from IES Master, contact IES Master Delhi Help Desk at 80100 09955 or drop a mail to info@iesmaster.org.